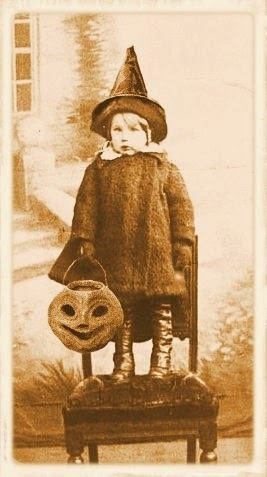 There is many.... of these amazing vintage Halloween theme photo's... buried in Pinterest. 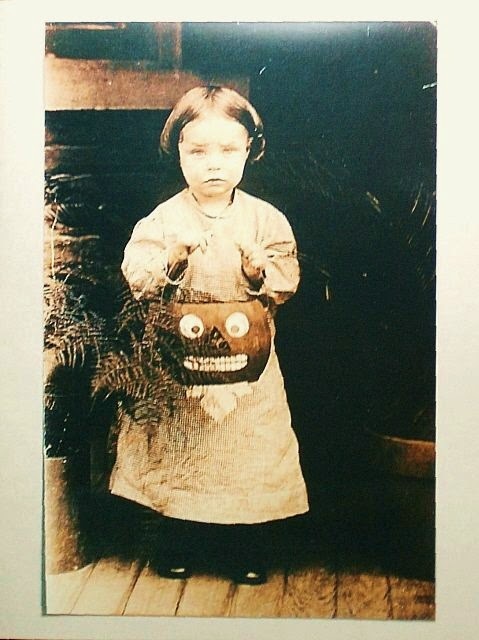 I am loving this girl with her pumpkin. Okay just one more... look at their faces. Never a smile. Always so serious.